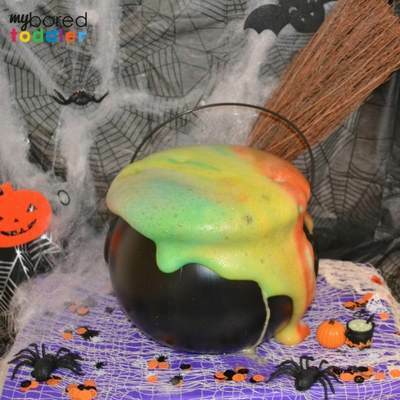 This Halloween fizzing cauldron is so much fun! 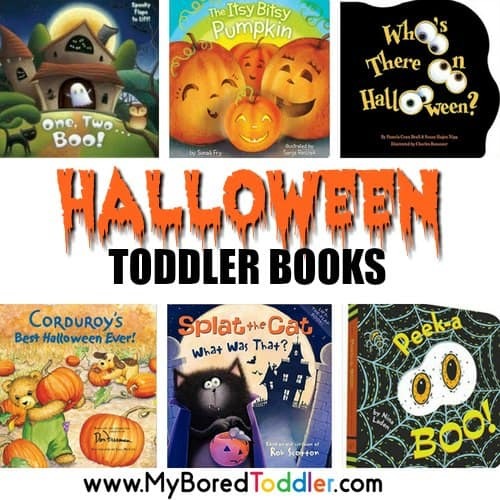 I have to confess that this Halloween activity was a little bit more complex than many of our others but it really was fun! 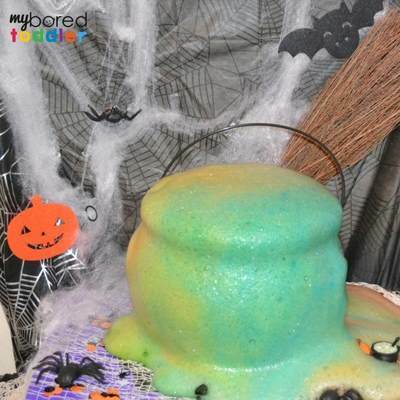 We had a few of my children’s friends over for a Halloween party and they couldn’t wait to test out our Halloween fizzing cauldron. This took quite a while to set up, was definitely messy but it was SO MUCH FUN! 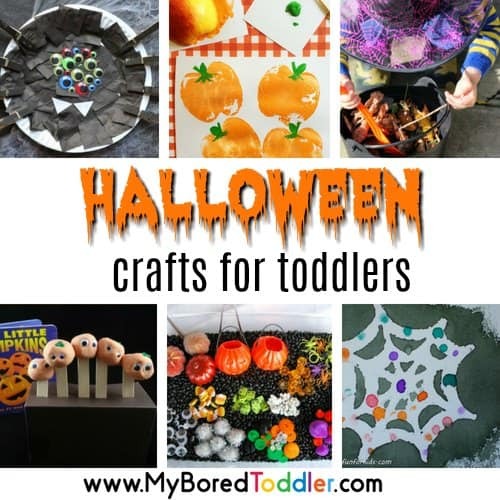 This activity took a little more adult preparation than most of our favourite Halloween sensory play ideas, but it really added to the overall effect. You don’t have to be as elaborate as we were either, as they’ll have just as much fun with a plain container and no decorations. 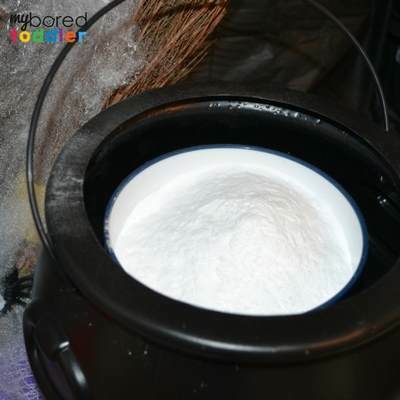 Bi-carb soda – we used 2 large packets but it depends on the size of your bowl. 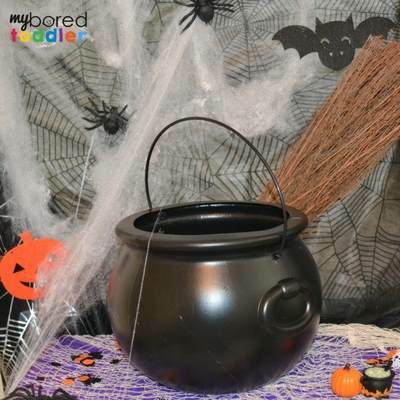 Set up your decorations and put your cauldron where you want it to fizz. Be aware that this will be messy so I recommend doing it outside. Don’t use expensive decorations as there is a good chance that they’ll get covered in vinegar and food colouring! Fill your cauldron with bi-carb soda. If you don’t want to fill the whole cauldron, you can put an upturned bowl in there and then another bowl on top. This means that the bicarb is closer to the top of the cauldron and will overflow quicker. That’s what I did. 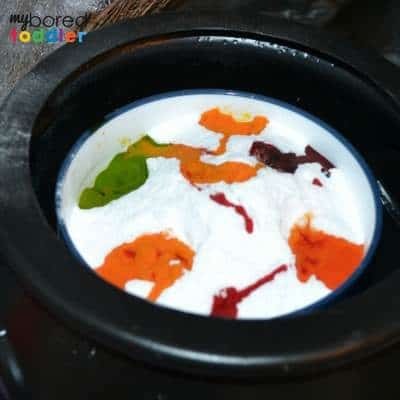 Add some food coloring to the cauldron. I used a mix of red, yellow and blue as I knew that they would mix when the vinegar was added and create new colors. You can see in the photo that they’ve already started mixing. Have a child or adult pour on the vinegar and watch the reaction! 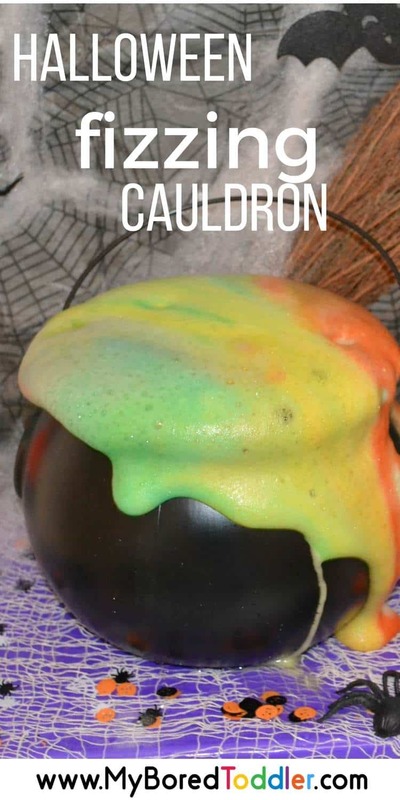 I’d love to see your fizzing cauldron – share some pics with us in our Facebook group or on Instagram. You can also subscribe to our weekly newsletter and follow us on Facebook, Twitter, Instagram and Pinterest.